Having a growth mindset is not only essential for students. It also can help teachers increase their impact in the classroom. That's the premise of our latest Edutopia blog post, which explains how the growth mindset as described by Carol Dweck, has implications for learning and improving education. The growth mindset is a belief that individuals can improve, change, and grow through application and experience, no matter what their initial performance, interests, talents and skills may be. Donna and I wrote the post to focus on the importance of empowering educators with opportunities to develop a growth mindset, which will help build skills and strategies to increase the impact of their instruction in the classroom. Donna and I were pleased to share our response to the question: How can we best help students develop self-control? Our response appeared in part four of a four-part Education Week blog post: "Learning Self-Regulation Is Needed on Path to Academic Success," part of a Classroom Q&A with Larry Ferlazzo. Begin to develop a clear intent about what they want to achieve. Marcus and I would like to thank Dr. Rod Berger for featuring us in "Down The Hall," a column he authors on the Scholastic blog. 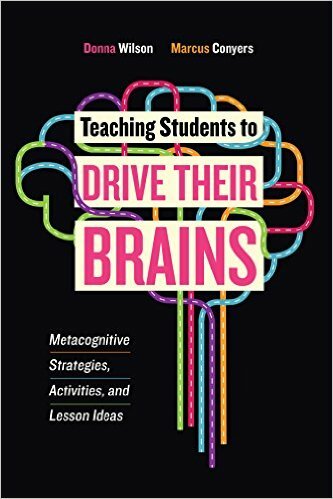 In his Nov. 11 blog post, Dr. Berger highlights our book, Teaching Students to Drive Their Brains: Metacognitive Strategies, Activities and Lesson Ideas, and embedded our recent interview from his online interview program, CoffeED. Dr. Berger's blog describes how the "drive your brain" metaphor captures the importance of students taking ownership of their learning and thus become better discerners of information that ultimately results in higher levels of achievement. Donna and I discussed our latest book, Teaching Students to Drive Their Brains: Metacognitive Strategies, Activities, and Lesson Ideas, on CoffeED, an online interview program focused on education and learning. CoffeED’s host and global educator correspondent Dr. Rod Berger conducted the interview, during which we explained the concept of metacognition, defined as “thinking about your thinking with the goal of improving learning,” and shared some practical ways to use metacognitive strategies to improve the learning experience. Among the strategies we described are: being aware of what you already know and what you’re trying to learn, monitoring your progress with such tools as self-testing, and being aware of what results you’ve achieved. In our latest blog post for Edutopia, Donna and I discuss one of the most exciting times in life for changing and learning: adolescence. The blog post, entitled "The Teenage Brain Is Wired to Learn—So Make Sure Your Students Know It," describes how neuroplasticity benefits adolescents and enables them to improve their performance in school. 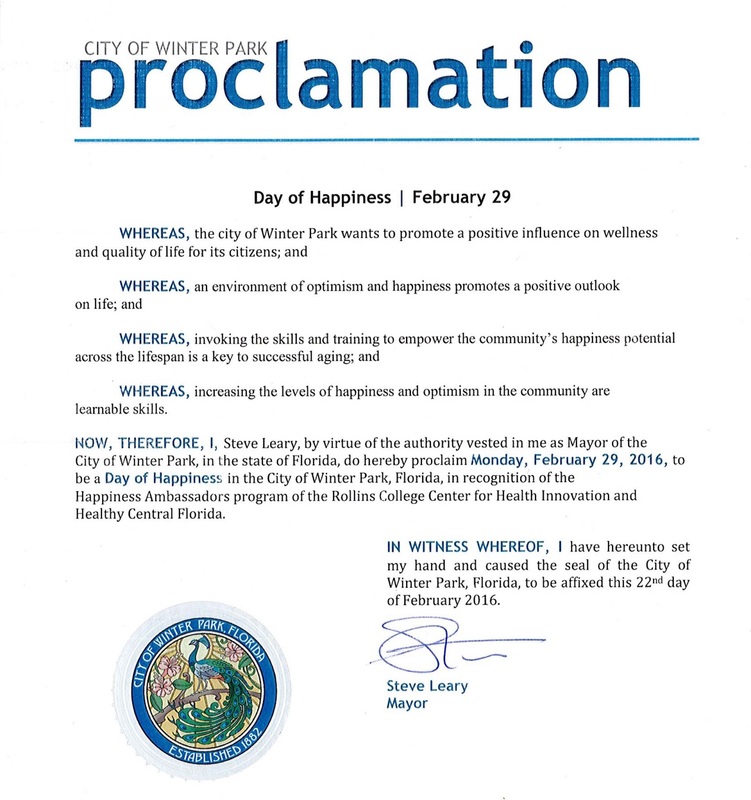 This becomes even more possible with the direct guidance and help of committed and caring teachers. While students who have reached their early teens already have formed an image of themselves regarding their intellectual capabilities, it's important to communicate that they have the capacity to become functionally smarter. This is a point we get across in our newest book, Teaching Students to Drive Their Brains: Metacognitive Strategies, Activities, and Lesson Ideas. And as we point out in our Edutopia blog post, success in school is largely determined by the learning strategies that students employ. Donna and I shared "5 Strategies for Teaching Students to Use Metacogntion" in a blog post published on the TeachThought website. As we explain in this article, metacognitive skills enable students to regulate their thinking and become independent learners. Define the term. Our simple definition is: "thinking about your thinking as a pathway to better learning." Ask students to supply examples. We use the metaphor of "driving your brain," which helps students understand the concept. Catch students being metacognitive. Celebrate the use of this skill in large and small groups as a way to underscore its importance. Donna Wilson and I were among a select group of educators whose work and comments were featured in an important multi-part series on the subject of metacogntion in the classroom, which appeared in the popular and highly regarded publication Education Week. Our comments appear in Part 2 of the five-part series, which gave us the opportunity to share insights into our groundbreaking work on metacognition. In the article, we made the point that teaching for and with metacognition is vital for educators who espouse a growth mindset. 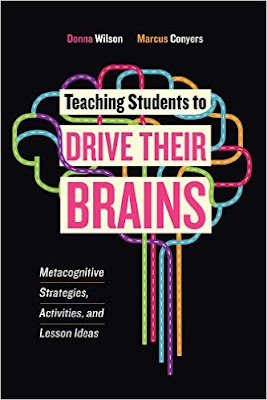 We also explained how the concept of metacognition can be effectively communicated by encouraging students to “drive their brains.” This metaphor is the basis for our latest book, Teaching Students to Drive Their Brains: Metacognitive Strategies, Activities, and Lesson Ideas. Donna and I were pleased to have the opportunity to discuss our latest book, Teaching Students to Drive Their Brain: Metacognitive Strategies, Activities, and Lesson Ideas, on the BAM Radio Network. We were interviewed by Jusmar Maness, principal of Balfour Elementary School in Asheboro, N.C., as part of the ASCD "Learn, Teach, Lead" Radio Program. The radio program allowed us to explain the concept of metacognition, defined as "thinking about your thinking with the goal of improving learning," and share some practical ways to teach metacognitive strategies in the classroom. On the program, I described metacognition as "the No. 1 attribute of high-performing students," whereas Donna countered the myth that learning becomes more difficult as we age. In adulthood, Donna explained, "Life continues to get better as we're able to be metacognitive, conscious and wise about our learning." As Donna Wilson and I point out in our latest blog post for Edutopia, students spend much more time outside of school than they do in the classroom. That's why partnering with parents is so important to enhancing a child's executive function and putting them on a path toward smarter thinking. One of the ongoing and underlying threads in our work is the focus on helping students learn how they can become "the boss of their brains." Parents can help with this endeavor by reinforcing important messages and strategies that help their children take charge of their thinking. Our latest blog post for Edutopia explores the importance of the brain's executive function and describes how teachers can help students direct their thinking and cognitive abilities toward setting goals and planning to achieve them, establishing priorities, getting and staying organized, and focusing attention on the task at hand. Entitled "Strategies for Students With Scattered Minds," the post describes "workouts" that allow students to practice pausing, prioritizing, improving their working memory, and mapping their options. As a former classroom teacher and school psychologist, I worked with many youth who had difficulty with various executive functions, such as the ability to inhibit behavior, initiation and planning behavior, working memory and the ability to selectively maintain attention on information needed to complete a learning task, as well as cognitive flexibility. Based on this experience, I found that explicit instruction about executive function and how to improve it is especially useful for students with learning challenges. Over the past half-century, psychologists and neuroscientists have learned a great deal about the way our brains work. These discoveries have revolutionized our understanding about how people learn. We now know that academic achievement is greatly influenced by students’ abilities to apply thought processes in a systematic way. In education, terms often used are cognitive strategies (we use the term assets) and metacognition. We cover this topic extensively in our new book, Teaching Students to Drive Their Brains: Metacognitive Strategies, Activities, and Lesson Ideas. Cognitive psychologists and neuroscientists may use the term executive functions or skills to describe similar functions. For example, educators, psychologists and neuroscientists may all speak of the importance of capacities such as working memory, selective attention, and metacognition with regard to learning. All three groups of professionals are talking about skills that are linked to the brain's prefrontal region, as well as other areas of the brain depending upon the specific skill. Ongoing research continues to increase our understanding about related structures and functions. In the course of our work in the field of teacher education, Marcus and I have had the opportunity to share science along with our frameworks and strategies with some amazing and dedicated teachers! One such teacher is Diane Dahl. One of the most important things Diane took away from our program was how to teach students how to use higher order thinking skills alongside key content she teaches. As an example, Diane framed her lesson in a way that second graders discovering how the Chinese invention of paper changed the world spontaneously were able to connect their new knowledge to a previous lesson on Sequoyah’s creation of a writing system for the Cherokee people. In the corporate world, the chief executive officer of a company is responsible for making the highest-level decisions to ensure a strategic, well-coordinated, and coherent course of action. Without such a leader, the employees in the organization might scatter in a variety of different directions and find themselves at cross-purposes instead of working productively together toward the same goals. In our new book, Teaching Students to Drive Their Brains: Metacognition Strategies, Activities, and Lesson Ideas, we talk about the importance of executive function, which describes the brain processes and mental faculties involved in goal setting, planning and execution, reasoning, problem solving, working memory, and organization. We cite the work of Elkhonon Goldberg, who applies the metaphor of a chief executive offer to the brain’s frontal lobes and describes specifically how the prefrontal cortex plays a central role in forming goals and objectives and devising plans of action to obtain these goals. For many years, Marcus and I have been using the word “metacognition” in our writings and presentations. It may seem like a mouthful, but when you break it down, it’s easy to understand. The aim of metacognition is to improve the way we learn. It’s a word that is at the foundation of the Thinking for Results approach that Marcus and I use in the graduate degree programs we have developed in brain-based teaching as well as in our presentations internationally. It's also a theme of our new book, Teaching Students to Drive Their Brains: Metacognitive Strategies, Activities, and Lesson Ideas, published in conjunction with ASCD. Donna and I are pleased to announce the publication of our pioneering new book, Teaching Students to Drive Their Brains: Metacognitive Strategies, Activities, and Lesson Ideas, published in conjunction with ASCD. 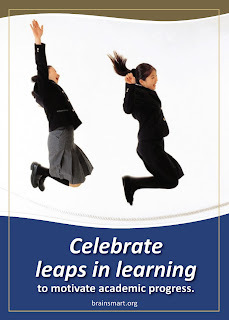 Coinciding with the release of the book, Donna and I will be conducting an ASCD webinar, Teaching Students to Drive Their Brains, taking place from 3 to 4 p.m. EDT on Tuesday, June 28. We invite you to register at the link. As many of you know, metatcognitive strategies have been an important focus of our work in the area of educational research and professional development. We strongly believe, and research supports, that metacognition is key to higher student achievement. Unfortunately, studies of classroom practice indicate that few students are taught to use metacognition and the supporting cognitive strategies that make learning easier. Words are all around us—on signs, storefronts, business vehicles, television sets, computer screens, calendars, product packaging, magazine covers, and book jackets. 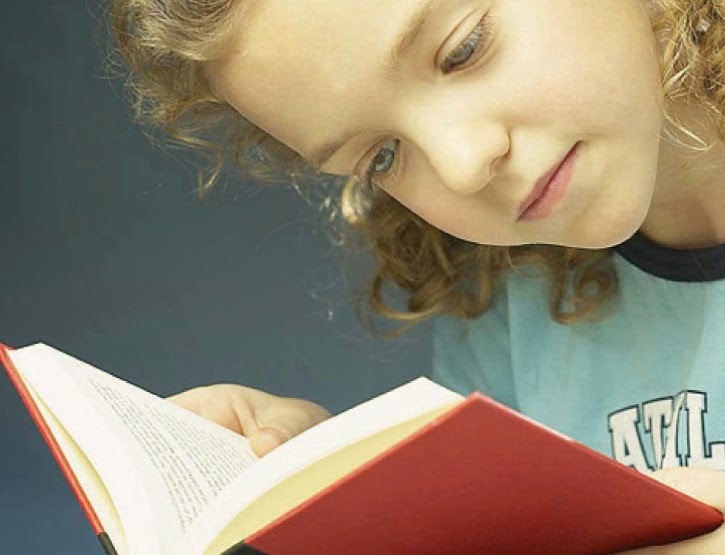 What learning opportunities for emerging young readers! However, it takes parents, caregivers and early childhood educators to point out letters and words in the child’s surroundings. Promoting print-rich environments in the home and in the classroom will enhance the ability to do that. Fortunately, there are a lot of creative ways to get children to take notice of the alphabet and begin to understand how it is the basis for forming words. Magnetic letters, for instance, are a fun diversion for toddlers and preschoolers. If they are just learning to spell their names, they will love to pick out the letters and arrange them on a magnetic surface like a refrigerator or dry-erase board. In our exploration of the subject, Marcus and I have found that children in print-rich environments spontaneously use almost twice as much print in their play as those not exposed to a print-rich environment. Environments filled with letters and words are effective in encouraging reading as well as the earliest stages of writing. Want to introduce a young child on a brand new adventure? There’s no better adventure to be had that what awaits them between the covers of great book. Books are the gateways to new worlds, new experiences, new places, and new people that we otherwise might not have encountered. Adults hold an amazing responsibility as the literary guides who can help young children discover words and their meaning. Whether as parents, teachers, caregivers, or early childhood educators, we are the child’s conduit to magical places—both real and imagined—that are conveyed through the endless combination of 26 letters that young pre-readers are trying to master. Long before children can read, adults can and should introduce them to books by reading aloud to them. Reading aloud is widely recognized as an important way of building an early and lifelong love of books, with research clearly showing that adults who read aloud to children form a connection and pave a path toward literacy. Imagine if all the great inventors and scientists throughout history used failure as an excuse to give up. Would we have ever had electricity? The telephone? The airplane? The Internet? A cure for polio or other eradicated diseases? Even the most successful individuals among us have failed at something in our lives. Persistence, adaptability and experimentation have enabled us to move past those failures to find subsequent success. Sometimes, however, keeping students motivated to try in the aftermath of a failure can be very challenging for teachers (and parents). Students may interpret failure as being caused by an inherent lack of ability, in which case they won't be inclined to redouble their efforts so that they can succeed at a similar task the next time. If students attribute their failure to something that is inherent within their being, they are more likely to develop a pessimistic outlook that will thwart successful learning in the future. Happy spring! 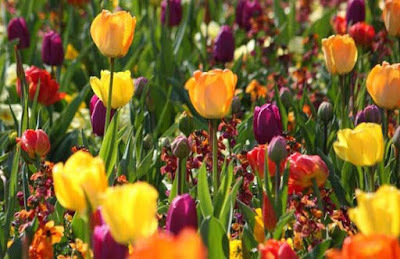 In many parts of the United States, this season of renewal is a welcome relief after a long and drab winter—all the more reason to celebrate springtime’s arrival with a metaphor about the seeds of potential that virtually all students possess to learn, grow, and achieve their goals in school and in life. A favorite teaching and learning strategy among educators who participate in our brain-based teaching program is using metaphors to explain and explore new concepts. So, let’s use a springtime metaphor to describe how, within each student, seeds of learning can take root. These seeds are transformed not by photosynthesis but by neuroplasticity, defined as changes in the structure and function of the brain as it processes new information. As with the seedlings in the garden, which require the proper conditions of sun, water, and fertile soil to thrive, so too does learning sprout, grow, and flourish in an enriched environment. That’s where you come in, using the “green thumb” of effective teaching to optimize the power of neuroplasticity that helps students become functionally smarter. Learning blossoms in a positive environment in which all students feel safe, secure, supported, and encouraged to take intellectual risks. Editor's Note: This blog post, co-authored by Marcus Conyers and Donna Wilson, originally appeared on Edutopia. Teaching is important and rewarding work, but it can also be extremely stressful. Excessive stress may lead to burnout, which is characterized by exhaustion, anxiety, and feelings of being overwhelmed and isolated. Other common symptoms of burnout are a loss of creativity, good humor, patience, and enthusiasm for life — all of which are crucial attributes for effective teaching. Fortunately, the human brain has tremendous capacity to change and grow. We can train our malleable, dynamic brains — specifically, the left prefrontal cortex, which figures prominently in emotional outlook — to become happier and more optimistic through deliberate practice. 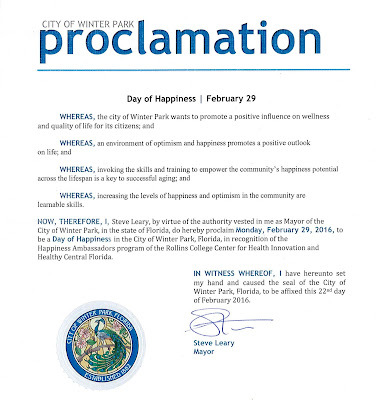 Research suggests that happy people are more likely to have positive relationships with family, friends, and colleagues; to perform better on the job; and even to enjoy greater physical health than those with negative outlooks. In most of the country, Sunday marks an annual ritual: setting our clocks ahead for the start of Daylight Saving Time (DST). 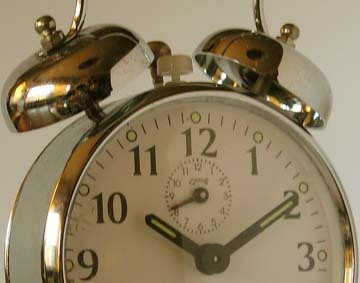 When we “spring forward,” many of us lose an hour of sleep. However, we shouldn’t be so quick to give up that 60 extra minutes of snooze time—on the first day of DST or on any other day. If you don’t think that one hour of sleep deprivation is a big deal, consider this: Experts have identified the Monday after DST as a vulnerable time for traffic accidents. This tie between adequate sleep and overall alertness underscores just how important sleep is to proper functioning in general. As we report in our book, Thinking for Results: Strategies for Increasing Student Achievement By As Much as 30 Percent, lack of sleep has a significant impact on cognitive processes. Most adults require a minimum of 7.5 hours of sleep per night, while children and teenagers need even more. 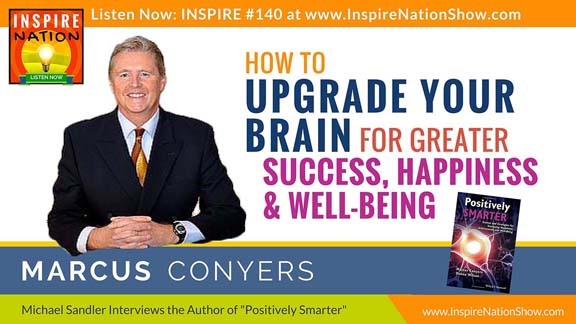 My Interview on "Inspire Nation"
I recently had the pleasure of being interviewed by Michael Sandler for the "Inspire Nation" podcast on the subject of "How to Upgrade Your Brain for Greater Success, Happiness and Well-Being." Michael and I had a great conversation about the potential that all of us have for upgrading our brain at any age, with the basis being the research that Donna Wilson and I uncovered when writing our book, Positively Smarter: Science and Strategies for Increasing Happiness, Achievement and Well-Being. We talked about a broad range of subjects, from the importance of the Body-Brain connection to the innate talent paradigm to the effect that a positive state of mind has on our ability to be successful. The podcast is available in 151 countries. The audio show is currently available on iTunes at this link. For those who don't have iTunes or who have an Android phone, the podcast can be accessed here. Enjoy our new blog post on Edutopia! 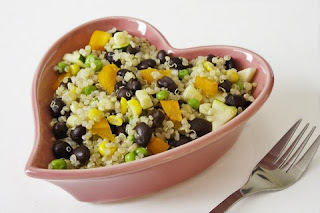 An interesting study on the positive impact of adding more fat to the DASH DIET. Happy 2016! I look forward to engaging with educators throughout the year at conferences, seminars, and other events. For my first post of the new year, I'd like to stress something that every educator should keep front of mind for 2016: the now-proven principle that virtually every human brain has the potential to learn and change throughout the lifespan. In fact, researchers are reporting that learning actually changes the structure and function of your brain. Whether you are traveling to exciting new destinations in 2016, learning new teaching strategies, reading a book, playing a new game, or stretching your mind in a new job, YOU are a learning machine. In the past, it was thought that brain development stopped sometime during our youth. At one time, it was said to be the age of 12. In the last several decades (with an emphasis on early childhood), there has even been confusion leading the uninformed to say that important development ceases even earlier. However, it is now known that adults can create new brain cells and make connections across their entire lifespans. So, it is critically important to keep learning.